LOCAL VISION CONTINUED - Art Parks! One thing the city of Martinsburg and Berkeley County have going for them is a good many public parks. One thing that is missing is an art park or two. An Art Park is a place that encourages wonder. While it might have things for children to climb on it is designed to have a wow factor to it. Instead of children climbing on standard jungle gyms instead they are climbing on, over and through a wonderland of fantasy. I would like to work with a team of visionary artists to design and create a park unlike anything in the quad-state region. Below are just a couple samples of places I have seen that are of this stature. Mission:Target properties that could be turned into places of wonder for all ages. STEP 1: Target Empty Lots – clean up the lots, removing trash and debris. STEP 2: Team of Visionary artist submit ideas – Community Votes on elements that they like from submitted designs. STEP 3: CREATE AN ART PARK - Under the direction of the artists and contractors the public will be invited to help build the park kinda like a barn raising. Supported by the community for the community. Participants will learn how to work with new materials and take pride in what they have learned and made! On W Burke Street there is a wedge shaped property owned by Berkeley County Parks and Rec next to a bend in the creek and just past the railroad over pass taking trains into Old B&O Round house station. If the area was cleared out and this part of the bend in the creek cleaning up and made more appealing this area could be fixed up nice with seating, game tables, boards and more with an over the top artistic flare to it with mosaics, arches, concrete animals and fountains and more. 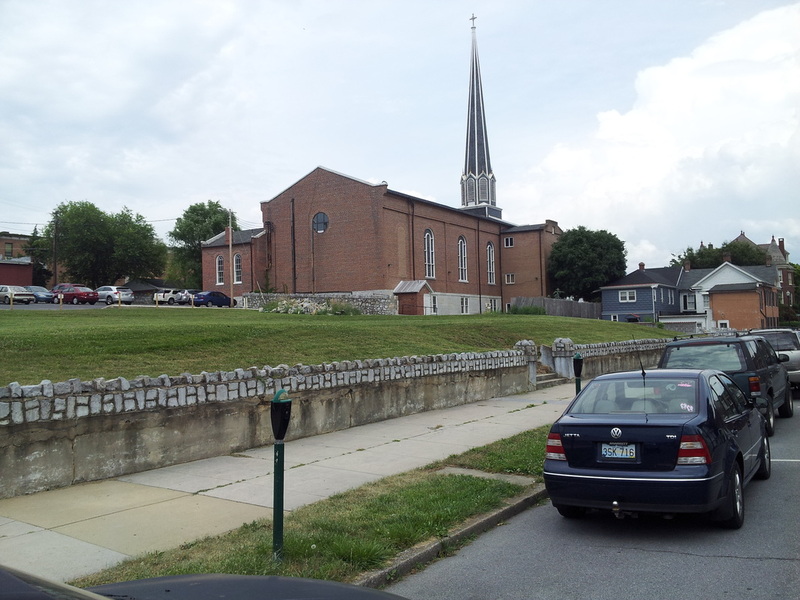 At South College and West John Street, near the Boys and Girls Club, is a piece of land that I believe once held an old school house. 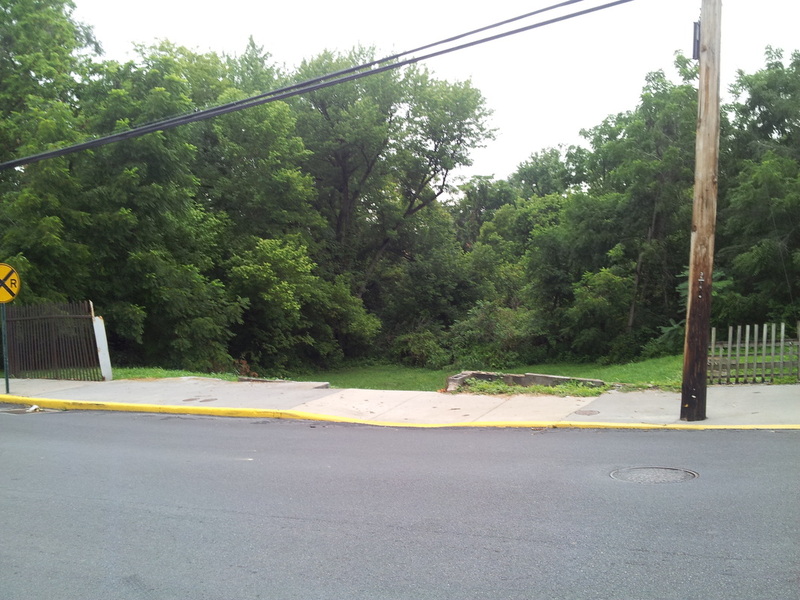 There are still steps from the sidewalk up onto the piece of land but there is nothing there. There may be plans for this already or maybe it could turn into something for the community to use.